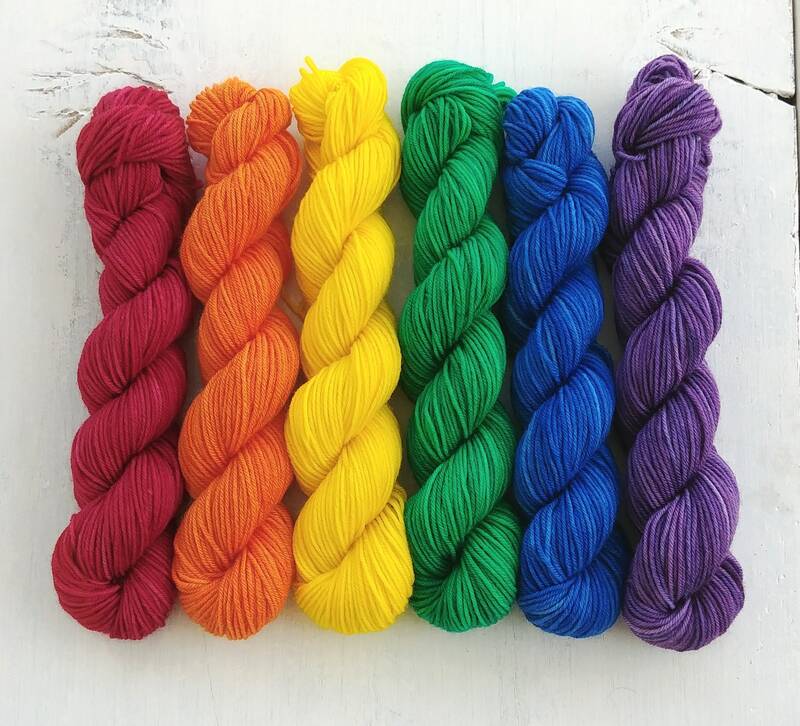 Gradient mini skein yarn set of 6 colors in 20 gram skeins. 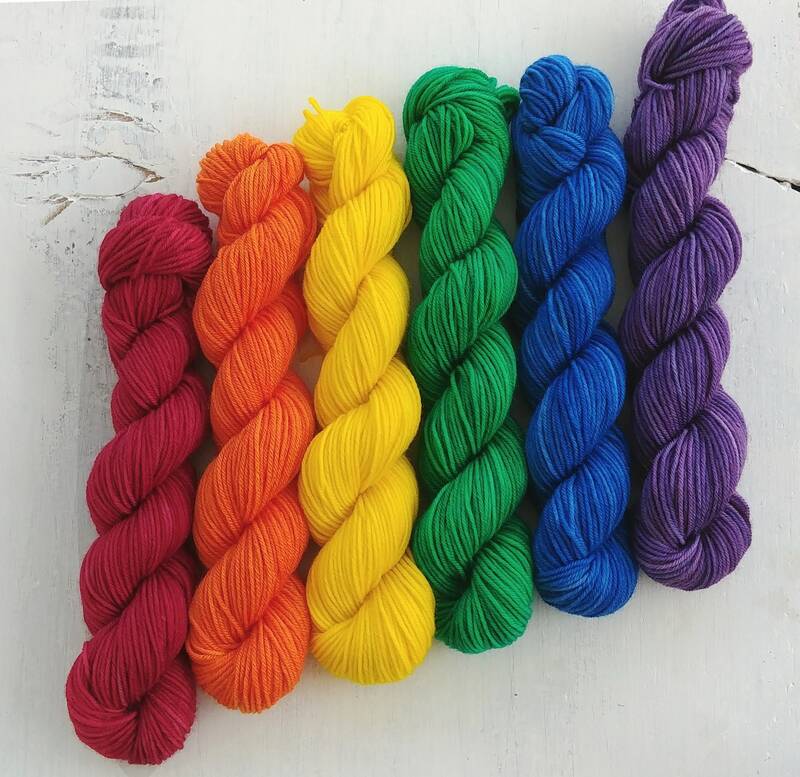 Each individual skein is dyed in a semi solid color starting with red, orange, yellow, green, blue, and purple. This set is perfect for rainbow mini stripes, accents, full color blocks, or what ever other rainbowy goodness you can think of. 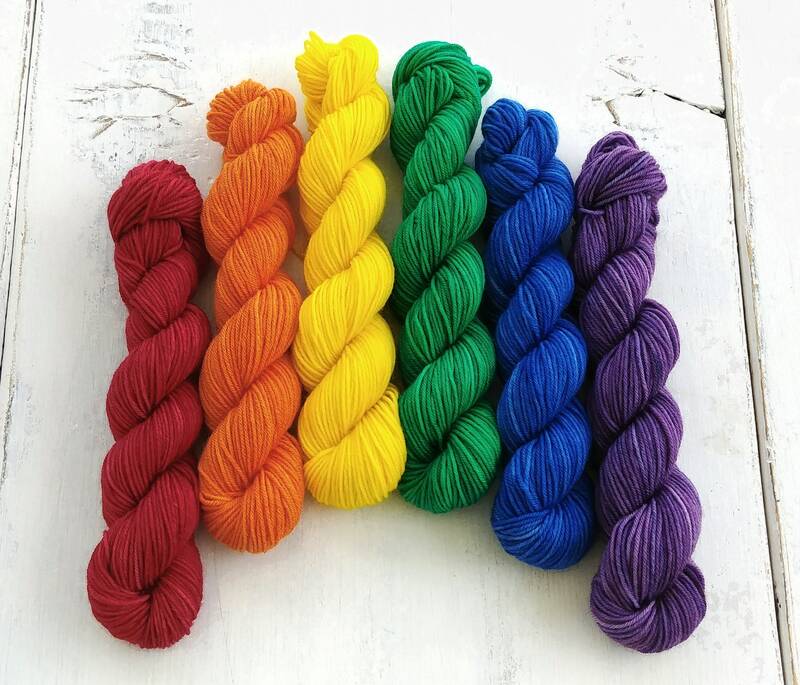 This listing is for 1 set of all 6 colors. The yarn base is a 4-ply that is very soft and springy. This yarn is superwash and can be machine washed on gentle, but it is recommended to wash by hand to preserve the life of your garment.